The final match of Daniel Nestor’s Davis Cup career did not go as planned. Nestor and Pospisil lost to the Dutch duo 6-3, 3-6, 4-6, 4-6 in front of a partisan crowd at Coca-Cola Coliseum on the Exhibition Place grounds of Nestor’s hometown of Toronto. Daniel Nestor acknowledges the crowd in Toronto following the final match of his illustrious career. “We’re in a good position, the guys gave their hearts out there today and we ended up going down, but that’s the nature of Davis Cup competition,” said captain Frank Dancevic, who pointed out that Raonic had a short three-set victory on Friday while his opponent Haase had a lengthy five-set loss to Shapovalov the same night. Fans around Coca-Cola Coliseum wore red and white, waved Canadian flags and banged drums during stoppages in play. The crowd was more sedate than Friday night when the chair umpire had to threaten some fans with ejection in the fourth set of Shapovalov’s comeback victory over Haase. After the match, Nestor addressed the crowd, thanking them for their support over the decades. He will be inducted into Canada’s Tennis Hall of Fame in a public ceremony before Raonic’s match with Haase on Sunday. “I consider him one of my really good friends, so it’s tough to see him go,” said Pospisil. “Honestly, it was an honour to be on the court with him. I really wanted to win this with him in his last match. 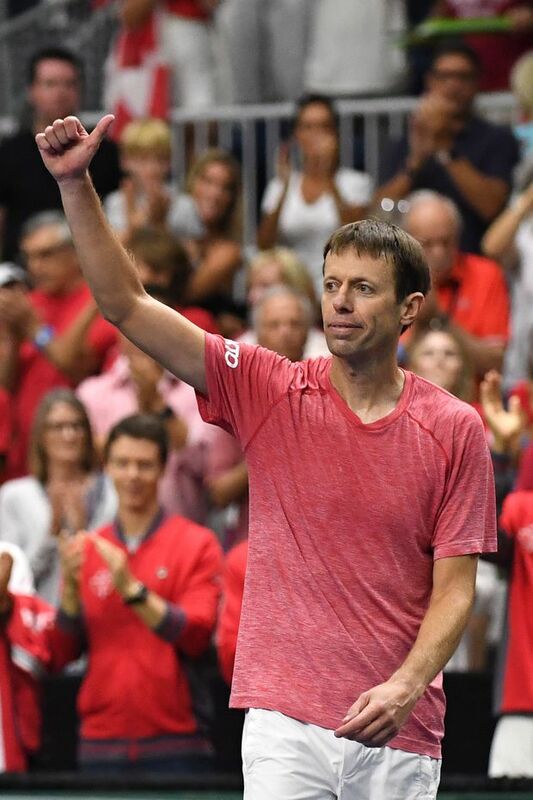 Nestor’s skill in doubles competition has made him invaluable to Canada over the past quarter century, almost guaranteeing them a win on the second day of the three-day, five-match Davis Cup draws. He has a team-best 33-13 doubles record and was 15-15 in singles rubbers.